Back in the Sixties, the British were the leaders in affordable, two-seat, open-top sports cars. The Triumph Spitfire, the Austin-Healey Sprite and the MG MGA were not only great cars, but an excellent export product as well. These small but high-quality roadsters were well-balanced and relatively powerful, and all of Europe was happy to buy them, as were Americans. The small Morris Garage (MG) factory in Abingdon – not far from Oxford – managed to export 81,000 MGAs to the United States in seven years (1955–1962), which accounted for 80% of total production. 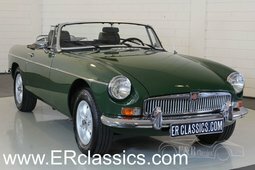 However, this was not enough for the British Motor Corporation (which MG already belonged to then), and they released an even better two-seater in 1962 – the MGB. At that time, practically every domestic car in the States was more powerful than the MG MGB, with its 1.8-litre, four-cylinder, 92 hp engine. However, the important thing was where this engine was mounted. With a curb weight of 920 kg, the MGB was quite a bit lighter than the average American sports car; it handled superbly and was impeccably made. 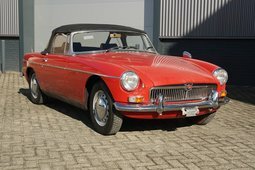 Yes, at that time MG was known as a manufacturer of very reliable cars. Not to mention the one-piece monocoque body, with its fantastic modern design. Even 50 years later, it looks just as good. 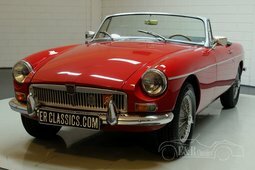 MG also gave thought to those who wanted a sports car with a closed body instead of a roadster. Starting in 1965, you could already get one of the best looking shooting-brakes ever – the MGB GT, which was styled by Pininfarina. Americans liked both versions of the MGB just as much as the MGA. More than 60% of the first version – the Mark I that was produced until 1967 (with 115,790 made in all) – ended up in the US. At that time, MG basically sold as many MGBs as it was able to produce. 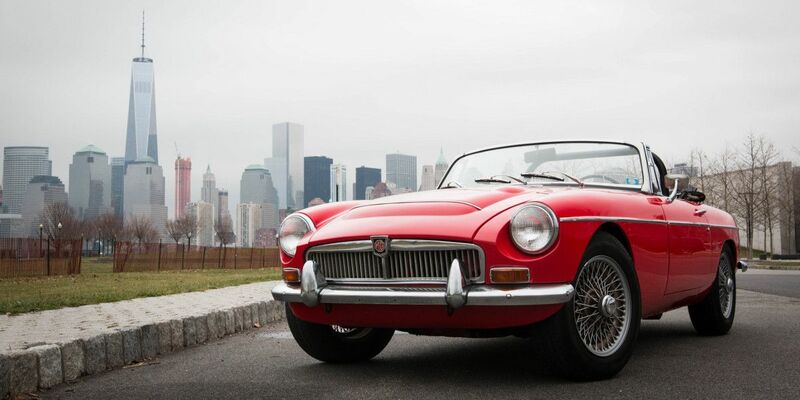 In 1967, another option came out – the MGB-based MGC. 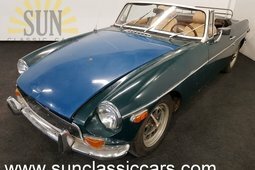 This car looked almost exactly the same as the MGB, but instead of a 1.8-litre engine, it had a 2.9-litre, inline 6-cylinder, 145 hp motor under the hood. Unfortunately, that engine was almost 100 kg heavier than the 1.8-litre, and this fundamentally changed the balance of the lightweight MGB. So the MGC had noticeably worse handling than the MGB, although it could accelerate to 100 km/h slightly faster. 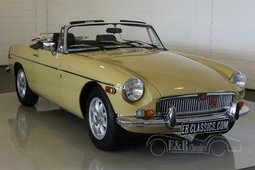 The automotive press tore the MGC to pieces, so sales were disappointing; the MGC was discontinued in barely two years, after producing just 9,000 cars. In 1968, MG was merged with one of the largest car manufacturers in the world –British Leyland Motor Corporation. And as we all know now, that was the beginning of the end for the British automotive industry. British Leyland was like a European General Motors – it had nearly 40 factories and a whole pile of competing brands: Jaguar, Land Rover, Triumph, Rover, Austin, Morris, Daimler, Alvis, Riley, Wolseley and a few others. The conglomerate was poorly managed, so it is not surprising that things started going badly for MG as well. All the more so that Leyland was giving more attention to the Triumph – another sports car that was in direct competition with the MG. This was probably the reason why the MGB, as a car, was doing worse and worse in its main market – the USA. For example, when the US introduced new exhaust emission requirements in 1972, Leyland chose the easiest possible way out – reducing the engine's compression ratio, which also entailed a decrease in power to 78 hp. 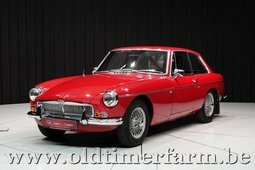 Knowing this, it is very difficult to understand why MG did not offer the US market the MGB GT V8 that came out in Great Britain in 1973 with the legendary 3.5-litre Rover V8 engine. 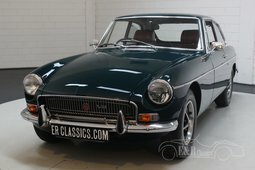 The MGB GT V8 had 137 hp, and most importantly, the aluminium 3.5-litre V8 engine was even lighter than the 1.8-litre version, so the MGB's weight distribution was not affected at all. MGB fans in America still don't understand why such a good roadster never reached them. But that still wasn't the worst of it. In America, 1974 not only brought more stringent emissions regulations – new requirements for bumpers and headlights were introduced as well. As a result, the beautiful, real, chrome-bumpered Brit got strange, heavier, rubber bumpers. As if that wasn't enough, the front part of the car had to be raised by 25 mm to meet the new headlight height regulations. All of this significantly worsened the car's handling. Add an engine that has 62 less horsepower and you'll get a car that isn't even close to the 1962 original. Surprisingly, this did not affect sales –1975 was one of the better years, with 35,739 MGBs sold. But then things began to deteriorate rapidly – even though the Americans loved MG, the new Datsun 240/260Z that was being imported from Japan was streets ahead. The MGB's glorious history ended in 1980 when British Leyland closed the factory in Abingdon. True, there was another very limited 1993–1995 version of the MG RV8 which experts attribute to the MGB family. Only 2,000 were produced, of which the absolute majority were right-hand drive. 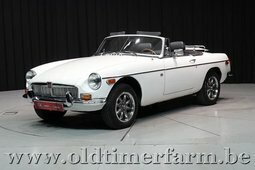 In any case, with 520,000 cars produced (MGB, MGC, V8, cabrio and shooting-brake versions), of which more than 300,000 ended up in the US, the MGB was long the most mass-produced sports car out there. It was only in 2000 that it was beat by the Mazda MX-5/Miata. 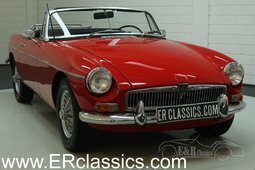 And the fact that so many were produced is good news for classic car lovers, since the MGB is available at every price range.